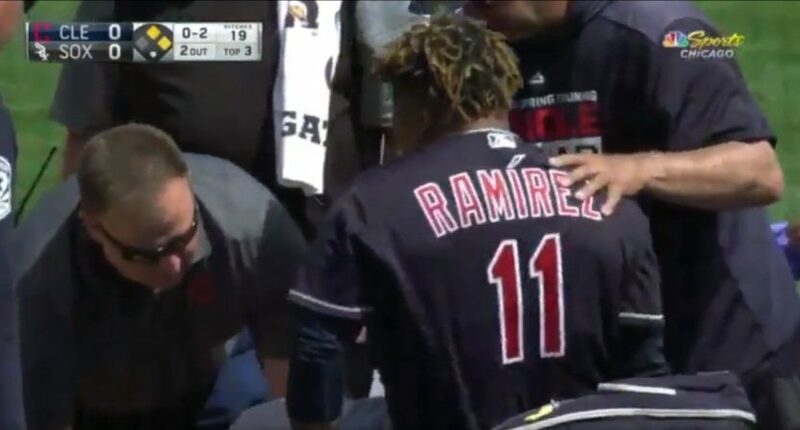 Paul Hoynes of The Cleveland Plain Dealer reported that the Indians announced an inning later that Ramírez had suffered “a left knee contusion,” and that he was being taken for X-rays. Any long-term injury to Ramírez could be quite the blow for the team; he hit .270/.387/.552 last year and produced 8.0 wins above replacement as per Fangraphs, third amongst batters (and fourth amongst all MLB players). We’ll see if any further news comes out on this injury.